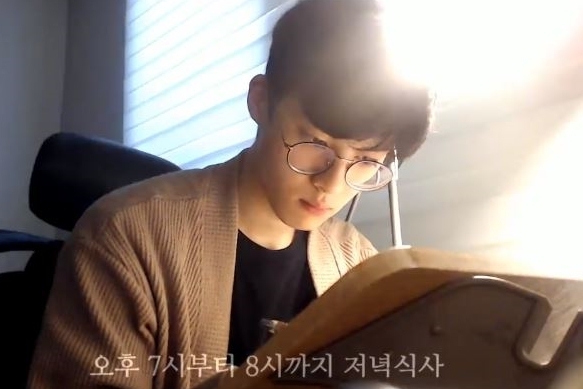 A handsome Korean man is livestreaming what he does all day: study alone. Nothing special, except for the incredible reaction his videos generate among Korean audiences. His YouTube handle Bot-No-Jam (which means “a robot which is no fun” in Korean) is indicative of the monotony of the clips, but some 320,000 subscribers say they can’t get enough of those “boring” videos. The first “Study with Me” live video earned 530,000 views, while the other videos also recorded 150,000 views on average. Many of the fans counted his K-pop star-like appearance as the biggest reason for the surging popularity. “Who says his videos are not fun? (Looking at) His face itself is so much fun,” a comment on Bot-No-Jam’s video said, garnering over 3,000 likes. Another YouTube user jokingly said, “I’ve never seen such an interesting video in my entire life,” and get over 4,200 likes. Besides the addictive silent study videos, the YouTuber has uploaded five video blogs, or vlogs, as well. The videos depict his daily life outside his room, such as getting ready to go out and hanging out with his friends. Just like his other videos, Bot-No-Jam never speaks while he films. The latest video blog contains footage of him working out at a gym, and it instantly drew more than 560,000 views. The fandom even created the YouTuber-related Twitter accounts, where they share the screen captured images of Bot-No-Jam. The most notable account, which named “Everything about ‘Bot-No-Jam,’” has garnered over 4,200 followers. His skyrocketing popularity grabbed the attention of local media, making him appear on SBS’s morning show “Morning Wide” on June 8. 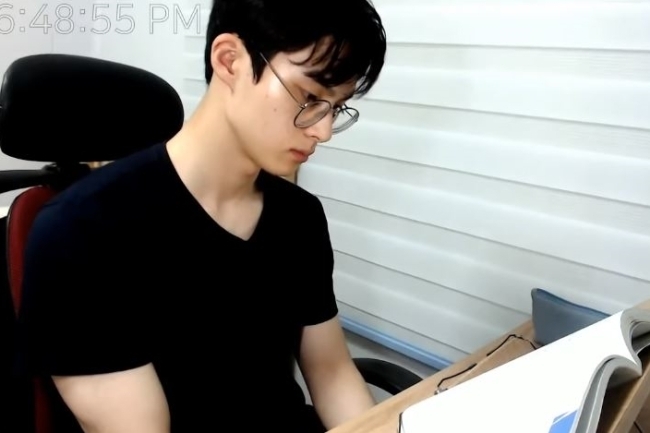 During the interview, the YouTuber said he began to film himself studying to stay focused. After the interview, he shared the interview experience on his YouTube channel, saying “Thanks for your love and support, I could be on a TV show.” The post received more than 7,200 likes and nearly 800 comments welcoming his small-screen debut.